Taric is the Aspect of the Protector, wielding incredible power as Runeterra’s guardian of life, love, and beauty. Shamed by a dereliction of duty and exiled from his homeland Demacia, Taric ascended Mount Targon to find redemption, only to discover a higher calling among the stars. Imbued with the might of ancient Targon, the Shield of Valoran now stands ever vigilant against the insidious corruption of the Void. Expected to serve as a stalwart guardian of Demacia, Taric’s life was meant to be the model of focused, selfless dedication to the ideals of king and country. Though he always saw himself as a protector, he never felt the need to limit or define whom and what he protected—be it an ideal, a piece of art, or a stranger’s life. Each could be considered worthy. Each could be seen as beautiful. Most of Taric’s contemporaries were focused on the martial principles of battle (things that came naturally and effortlessly to him). The young warrior was drawn instead to the fragile wonders that give life meaning, not endless brutish contests for flag or crown. This was a potentially treasonous philosophy, especially for one of Taric’s standing and role within the Demacian military hierarchy, but he chose to dedicate himself to understanding the simple truths of love, beauty, and life, so he could become their champion. Admired by all, Taric used his disarming manner and innate warmth to charm his way past most obstacles, and on the rare occasion they failed, his skill with hammer and sword could be counted on to settle the matter. As his quest for understanding broadened, Taric would miss combat training to wander the forest in search of a glimpse of a rare animal, neglect parade drills to sit in a tavern and listen to a bard’s hauntingly simple ballad, and skip regimental meetings to take horseback rides to observe the silver cloak of night settle across the countryside. Taric knew that, in his own way, he was training in a manner just as dedicated and focused as his fellow Demacians, but it wasn’t seen that way by his superiors. Taric’s casual nature, disregard for orders, and disinterest in his patriotic calling finally put him at odds with nearly everyone in authority—his family, his king, and especially his long-time friend Garen. And while the commoners saw Taric as a charming rogue, Garen recognized him for what he truly was—a man with the potential to become one of Demacia’s greatest heroes. The fact that Taric seemed to be thumbing his nose at his destiny as well as his country enraged Garen. Eventually, even his former friend could no longer protect him, and Taric’s military career started to crumble. Demotion after demotion pushed Taric further from Demacia’s heart, until, at last, he found himself commanding a small squad of lowly recruits assigned to guard an inconsequential ruined fortress out in the borderland wilds. After weeks spent standing in the rain and mud as ordered, and with no threat evident, Taric decided to let his men sleep while he wandered to a nearby temple to take in its cyclopean architecture. As morning lit up the temple’s overgrown cloisters, Taric finally decided to head back and check on his men. He was greeted by a scene of carnage. His troops had been butchered in their sleep, their corpses bearing the jagged hallmarks of the Void’s monstrous predators. Taric had failed his men, his country, and most painfully, his self-avowed mission to protect life. Returning to Demacia in shame, Taric was stripped of his rank and sentenced by Garen to endure “the Crown of Stone,” a ceremony that demanded a dishonored soldier ascend Mount Targon, known to all as a death sentence, as few mortals had ever survived the climb. And while the Crown of Stone was traditionally used by the dishonored to simply flee Demacia and make a new life in exile, Taric decided to actually atone for his mistake and set out for the towering spire of Mount Targon. The ascent nearly claimed him, body and soul, numerous times, but Taric pushed past the pain, past the memories of his mistake, the ghosts of his dead men, and other tests inflicted upon him by the mountain. As he approached the summit, Taric was challenged by a seemingly neverending myriad of conflicting realities, each warped existence offering a new, horrifying vision. Taric experienced the infinite fates that could befall those who had no one to protect them in their times of crisis. He saw the Alabaster Library engulfed in pitch and flame, and still he dashed into the roiling inferno to retrieve the poetry of Tung. He screamed in rage as the Frostguard ran the last dreamstag off a blind cliff, and then leapt into the abyss himself in a desperate attempt to save it. Before the ebon gates of Noxus, Taric slumped to his knees at the sight of Garen’s shattered body chained aloft as a warning. Between Taric and his friend stood the sum total of Noxus’s might. And yet still, without hesitation, Taric raised his shield and drove all before him. Claiming Garen from the gates, the young warrior marched toward Demacia, heavy with his burden, knowing full well that his return would ensure his execution. As he walked, Taric looked upward—and the blood-strewn fields of Noxus gave way to the star-filled expanse above Mount Targon. His trials complete, and freed from all illusion, Taric found himself at the pinnacle of the mountain, and he was not alone. Before him, cut from the sackcloth of night itself, stood something wearing the shape of a man. Its features composed from the pinpoints of stars, Taric was struck by the odd familiarity of its nature. Its voice spoke in a thousand whispers that cut through Taric like a mountain wind. Though he heard no recognizable words, he understood the figure’s intent with utter clarity. 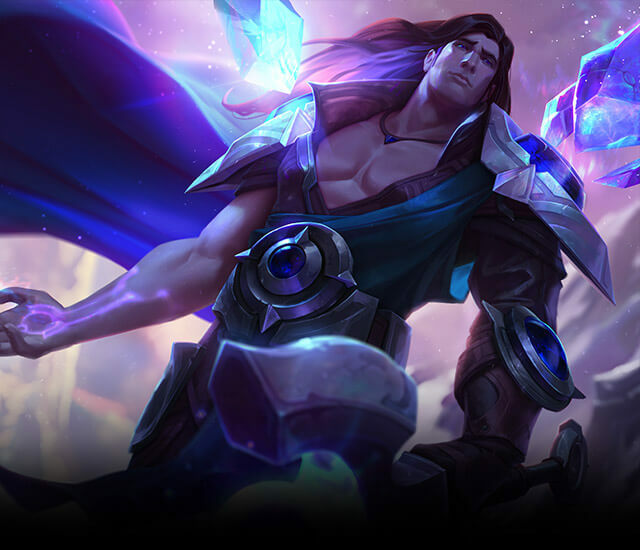 Impressed by Taric’s steadfast resolve, the otherworldly being deemed the fallen Demacian hero a worthy avatar, imbuing him with its ethereal powers. 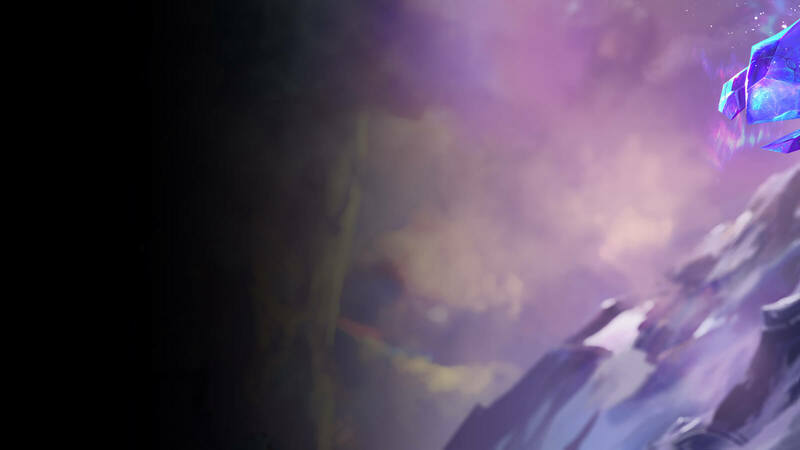 The Protector spoke of the truths Taric had known his entire life, and of the mantle that he had unknowingly been preparing for with every decision that brought him to the top of the mountain. As the Protector’s whispers faded, Taric received a final warning: He would stand as the Shield of Valoran, but crashing against him would be a wave of howling madness, an ocean of gnashing teeth intent on consuming all, a squalid horror born of the Void. Reborn with power and purpose, Taric gladly accepted the seemingly impossible challenge and now dedicates himself to his sworn duty—as the steadfast guardian of an entire world. I look out across the once-verdant field, now scarred and ruined by the toil of battle. The loss of life will be immense, but I cannot save those who seek their own destruction. All those sons, all those fathers, all those futures lost. Demacians and Noxians, ever at each other’s throats, magnetically drawn to one another by something lesser than both. Plenty of defenders exist for their lofty ideals, and they all stand in my way, almost gleefully slaughtering themselves over a scrap of land, with no idea of its true importance. Two armies entwined, both committed to their ruinous dance. I could try to reason with them, ask them to move their brawl elsewhere, but my former countrymen now see me as something between a traitor and a wrathful god, and the Noxians… well, the Noxians have always been short on patience. My usual weapons—wit, charm, and warmth—are useless in this cauldron of desperation. So I push aside those who would slow me, and wade into those who would stop me. Every kind of horror one soul can inflict on another rages around me as I near my goal. And there, dead center of the roiling fury of battle, the blaze of color calls to me—a delicate life about to be snuffed out amid the mud- and gore-covered boots. Standing bravely, unbowed by the thudding dullness of the armored brutes around it, its beauty rings out like a single crystal bell. It is the last flower of its kind. If it dies, no more shall bloom. I can not allow it to perish. The two opposing commanders pause in their combat as I approach, an uninvited guest at their last moments. They turn to me, suddenly allied in their outrage at my intrusion. I stand at the very eye of the two armies, seemingly inviting the cold embrace of death from all sides. But unlike all those who are now taking wary steps toward me, their sword hands trembling, I know why I fight.